In this episode we get more of a taste of the weird and extraordinary events that are part of life at Konohanatei. This is also the first episode that drew exclusively from the new manga, so I had no more idea what to expect going in than anyone else. I do have to say that the humor in the first half of the episode is kind of hit or miss for me. Pregnancy humor kind of falls into one of those areas where it can be funny at first, but it quickly becomes uncomfortable if it keeps coming up, in my opinion. 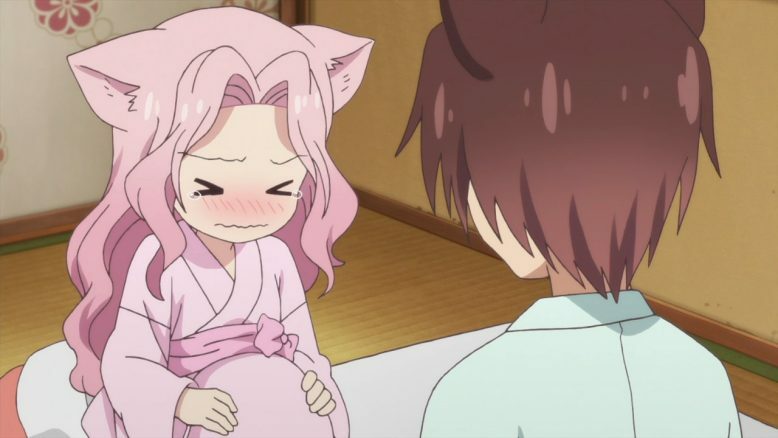 Ren panicking when she wakes up with a large bulge in the belly of her kimono, and demanding that Natsume take responsibility: that I found funny. 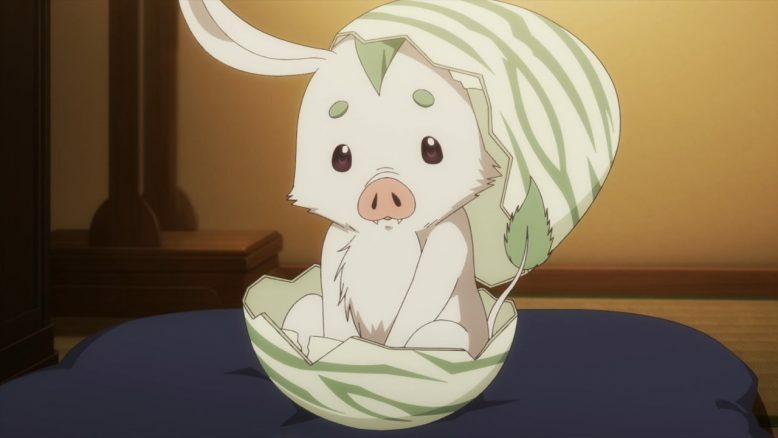 However, after it’s revealed to be a magical egg, the way Natsume and Yuzu treat her and talk about her as if she’s actually pregnant… not so funny. Natsume may just be having fun with it, but Yuzu is disturbingly sincere about the whole thing, to the point that I wonder if she might not have actually received a full education about where babies come from. Anyway, sleeping with the egg quickly reveals more about its true nature. Ren, who is having a nightmare, suddenly finds the bad dream sucked away, and replaced with a happy, reassuring one. Admittedly, her nightmare seemed a bit silly, but dreams are what they are. One can’t look at them with real world logic. In this case it was simply Ren’s deeply-rooted fear of losing, or perhaps even being abandoned by, the person who is most important to her. The details of how or why Natsume might leave weren’t important: it was simply the fear that it would happen. When the egg passes to Satsuki, we are given another view into her insecurity. Satsuki’s question is quite valid, I feel. If either sibling could have gone to either place, why couldn’t Satsuki have gone to serve the gods as a miko, the way she wanted? The fact that other people would have expected the “better” sibling to be the one to go should not have had any sway there. 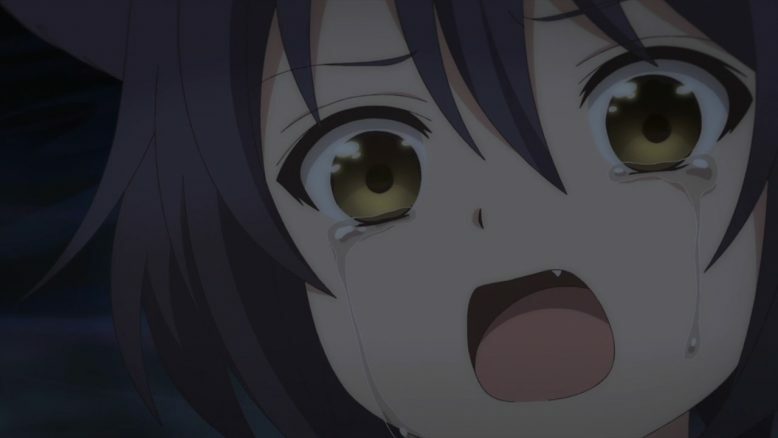 On the other hand, if this dream is accurate, Satsuki herself told her parents that she accepted the decision, because she didn’t want to cause them trouble. That places responsibility back on her. And even after that, she’s come to resent her sister for taking the place she wanted. That resentment at someone who did not do her any harm at all, is like a poison to her soul. A poison that is, fortunately, drawn away along with the nightmare. Dream Yun’s words there are simple, yet touching: it does matter that Satsuki is here now. She probably could have done quite well as a miko, but right now she is an irreplaceable part of the family at Konohanatei. The fact that she, personally, is there with everyone matters. 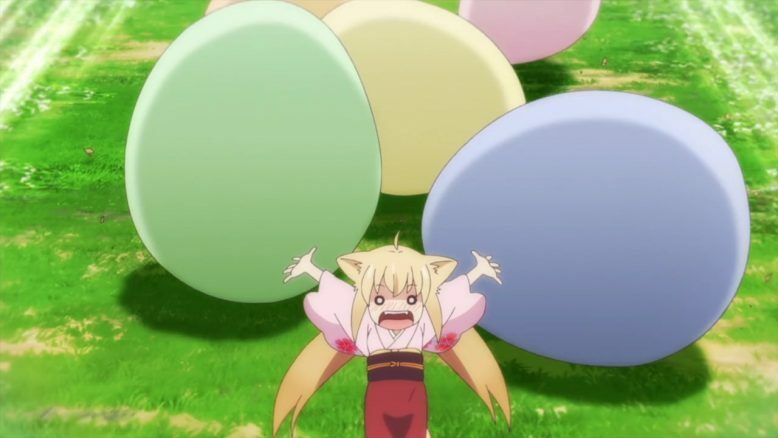 Anyway, with nightmares disappearing to be replaced by happy dreams, it quickly becomes clear to me, with my somewhat limited knowledge of Japanese culture, that the critter in the egg is a Baku. Admittedly, I’ve never heard any stories about them being born from eggs, but then they’re supposed to be a weird sort of divine chimera, so who knows how they come to be? And how did its egg end up in Ren and Natsume’s room in the first place? Regardless, nobody seems to object to it becoming a sort of pet, and Natsume dubs it Urinosuke. If the first half of the episode was the weird event, the second half is the extraordinary one. 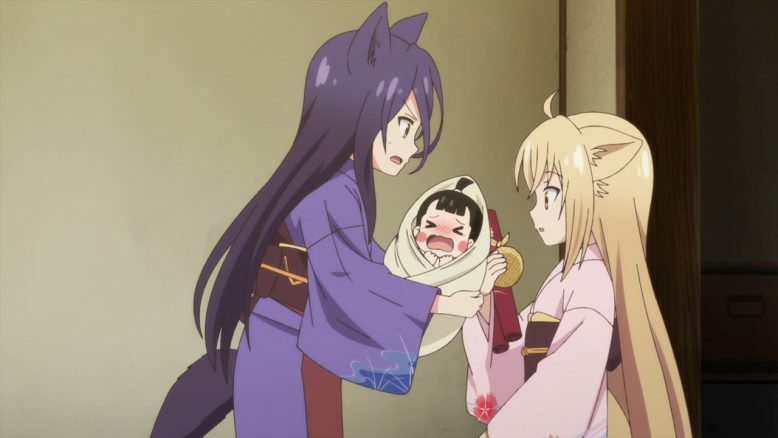 Satsuki showing up with a baby in her arms was a surprise (for a moment I was afraid we’d return to the kind of jokes from earlier in the episode, but fortunately they decided to pass them up this time), but Yuzu’s visit to the old women making kimonos for “Shino-chan” and her comments regarding the “Shichi-Go-San” tradition give us a clue that something special is going on. As if the mysterious rapidly-aging child appearing here and there throughout the inn isn’t enough for us to pick up on that. One more conversation with the old woman gives us the last big piece of the puzzle. 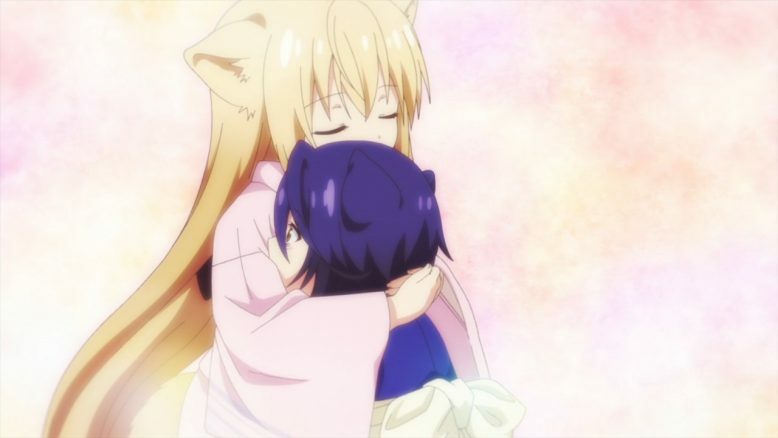 Shino is dead, and her mother is doing all this in the hopes that it will earn her happiness in the afterlife. Through the nature of Konohanatei (not really on the side of the living or the side of the dead), Shino is able to appear in response to her mother’s desires. 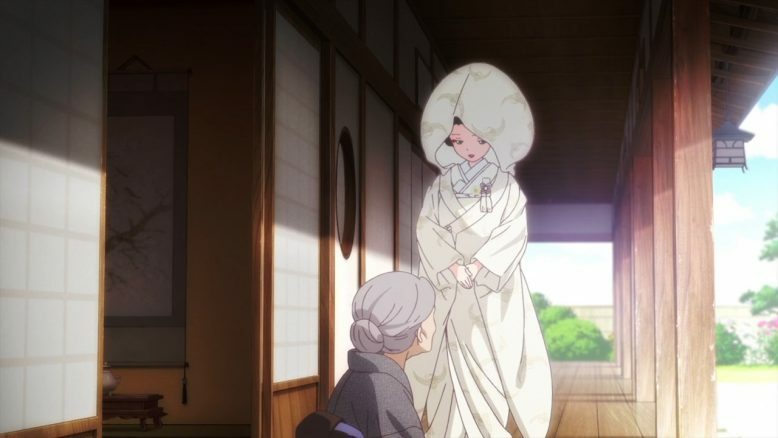 And when her mother finishes all she intended with the wedding clothes, Shino had a chance to thank her for giving her that time to live, before vanishing into light. 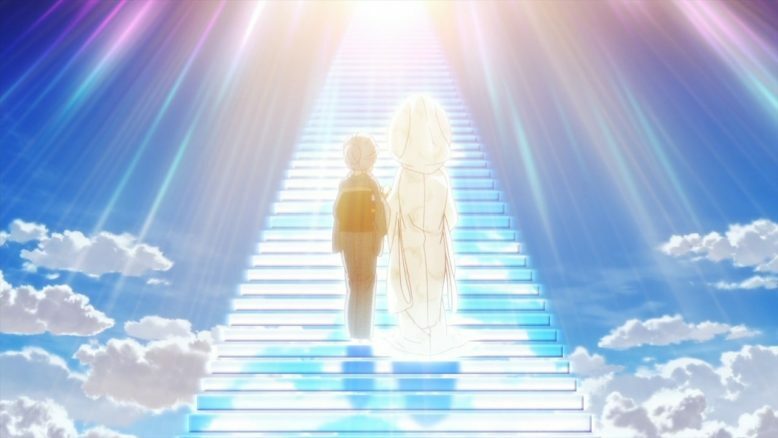 However, after a short conversation with Kiri, the old woman also vanishes into light, and we are shown a glimpse of her walking hand in hand up into the sky with Shino. All things considered I doubt she simply died right then… Rather, I suspect that the old woman was dead before she ever came to Konohanatei. In fact, dying is what allowed her to come there. The town lies on the border between the world of the living and the world of the dead (among other things) after all, so those traveling from one place to another might well pass through, and perhaps even stop and stay for a bit. I believe the old woman’s spirit was unsatisfied due to the thought that her daughter had died too young to marry and such, and stopped at Konohanatei with the desire to fix that. 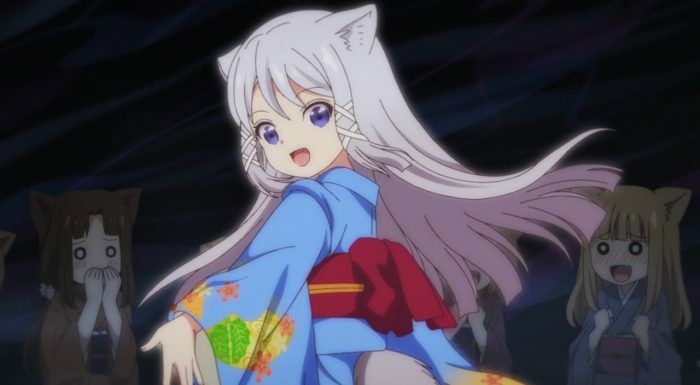 And Okami and Kiri and such gave her the opportunity. It’s very interesting to watch all this and think upon what it all might mean. As an aside, I do hope that Satsuki and Hiiragi manage to get back together without Satsuki holding on to any lingering resentment. It doesn’t feel right to see sisters at odds like that. Also, there’s a new ED this week, focusing on summer, just like the first ED focused on spring. Seems like we’ll be running through all the seasons with the endings to this series. If the others are as good as the two thus far, I’m looking forward to them. 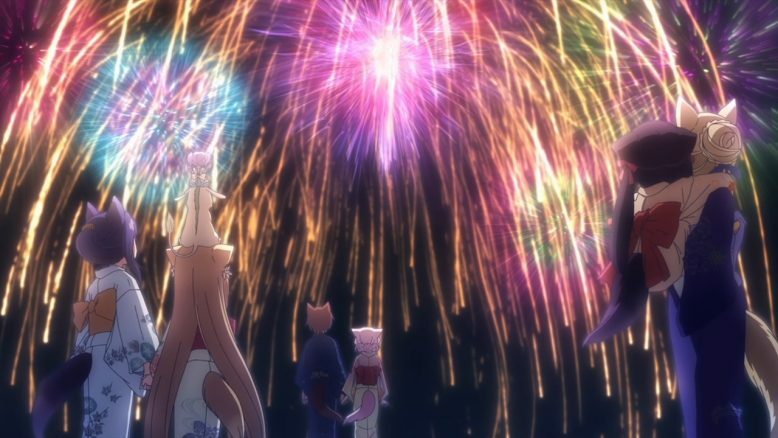 Firework festivals are as “summer” as Japan gets.